This year, the Autodesk Art and Biology Award went to Stefani Kuzmiski for "Dental Anatomy". 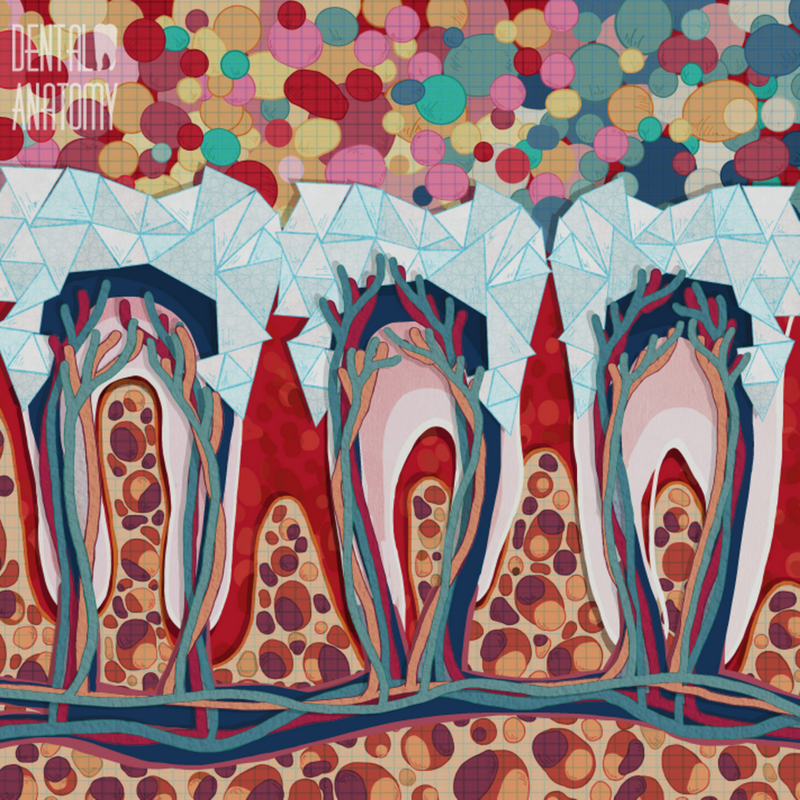 Her work combined digital and traditional media techniques to provide an alternative view of dental tissue. 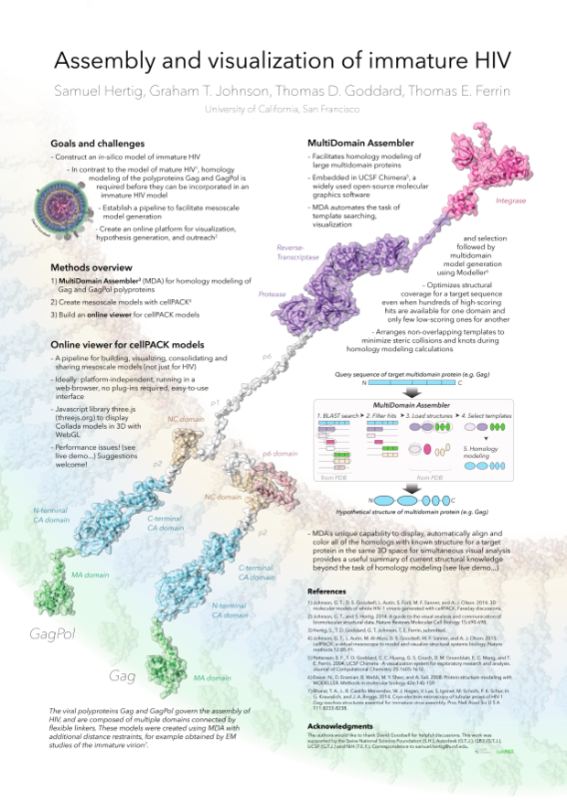 The Autodesk award is for the most popular submission to the VIZBI Art and Biology posters, and the winner receives a free license for Autodesk Maya. Well done Stefani ! 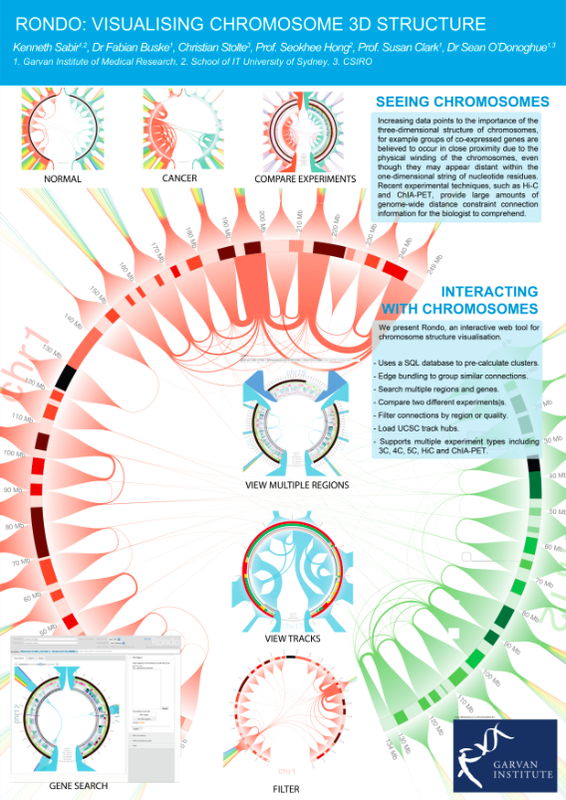 Kenneth Sabir’s impressive and visually enticing work ‘Rondo: Visualising Chromosome 3D Structure’ won the Nature Protocols prize for Runner-up Scientific Poster for VIZBI 2015, based on popular vote by conference participants. Congratulations to Kenny and co-authors Fabian Buske, Christian Stolte, Seokhee Hong, Susan Clark, and Sean O’Donoghue. Kenny received a year’s free online subscription to the journal plus £250 (US$373) cash. Samuel Hertig’s innovative work ‘Assembly and visualization of immature HIV’ won the NVIDIA Best Scientific Poster Award for VIZBI 2015, based on popular vote by conference participants. Congratulations to Samuel and co-authors Graham T. Johnson, Thomas D. Goddard, and Thomas E. Ferrin – they received a Quadro M6000 video card.